Zo declared she was going to make crab patty puppies for dinner, and invent and make them she did! 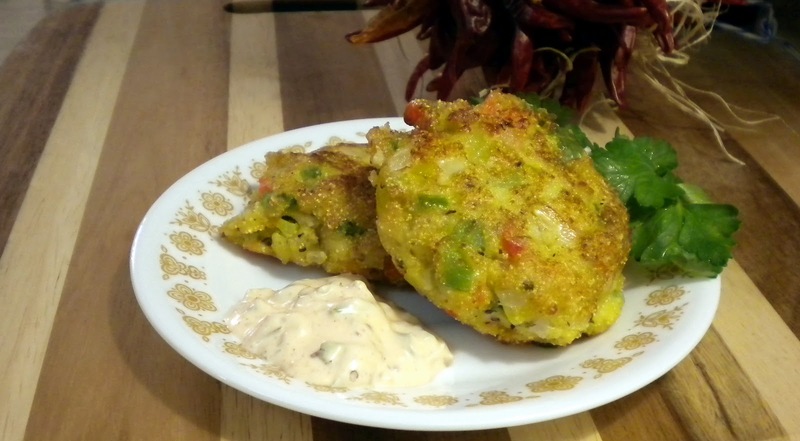 These hush puppy like crab patties have the crunch of a puppy but the flavor of a crab patty, they are great on there own and even better on a sandwich! Enjoy! Mix together all ingreideints, cover and refridgerate until ready to use. Mix together all ingredients in a large mixing bowl. Cover and refrigerate batter for 45 minutes to an hour. Heat oil over medium high heat. Once heated place hamburger patties sized patties into oil and cook till golden (1-3 minutes.) As patties finish cooking scoop out with a slotted scoop and place on a paper towel covered plate to drip away exces oil. Serve hot with dipping sauce and enjoy!